Technology has changed the world, and ourselves, more than most of us realize. People tend to see technology as a good thing, but with our constant quest for new technology, it seems that we do not think about the negative consequences it can bring. Cell phones and social media have drastically changed the off-road industry in the last few years, and again, at first glance it looks like the change has been for the positive. You can find and order nearly any part for any type of vehicle, you can watch a YouTube video on how to install a lift or lockers, almost all the 4×4 info you would ever want is now just a few finger touches away on your phone. However, social media has also brought many negative aspects to the off road industry as well. It has changed the Jeeping world to its core. In the days of old, before social media, many people belonged to different types of “social clubs” like the Moose Lodge or even the Clampers in order to connect themselves with people. When recreational four-wheeling started in the 1950’s one type of very common social group, especially in California, were Jeep Clubs. People with the shared interest of Jeeps, wheeling, camping and exploring joined one of the hundreds of 4×4 clubs that California had at the time. These clubs had regular meetings, normally at a pizza parlor, bylaws and events. 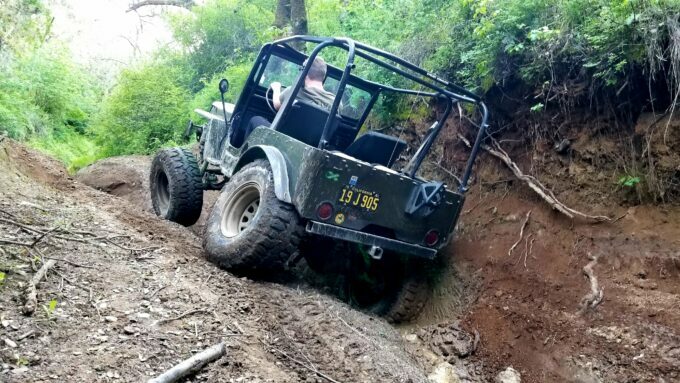 Belonging to a Jeep club gave a sense of being part of something greater than yourself, and many of the old clubs participated in not just wheeling trips, but trail work parties and other events that helped their community at large. Cal4’s wall of 4×4 clubs. Sadly, with the advent of social media, traditional 4×4 clubs are slowly dying off. So much so, that one of the oldest pro-access groups in the United States, the California Association of 4-Wheel Drive Clubs, recently just changed their name to the “California Four Wheel Drive Association (C4WDA).” While that seems at first like a minor name change, it highlights a major shift in the entire industry. With that said, change always happens, and while social media may be tearing down the original way of meeting up with others and off-roading, it has also led to online, virtual groups that can be very advantageous. Below is a list of five types of “must join” online social media groups and pages (most of which are on Facebook) if you really want to be informed and a part of the Modernjeeper lifestyle. 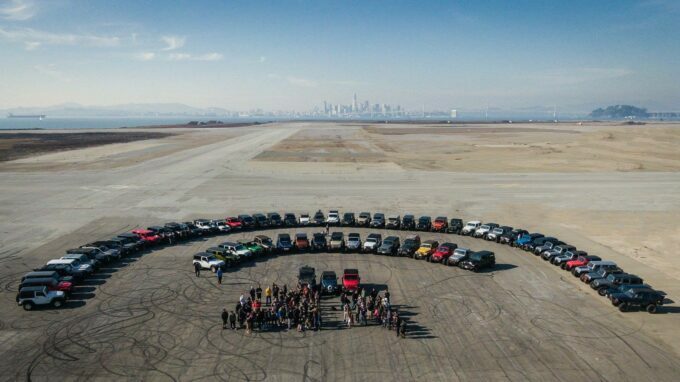 The SF Bay Area Jeep Association. For nearly every part of the United States, there are 4×4 groups on social media for specific areas or trails. These groups make it easy for you to find people to wheel with and also learn about trails, trail conditions and local events near you. They are a great source for information, especially for people new to off-roading. For most experienced wheelers, it is very rewarding helping out beginners in these groups by posting advice and information for them. Unlike traditional 4×4 clubs, these groups are generally loose-knit, without bylaws or monthly meetings and dues. The down-side to these groups is that they have begun to replace those traditional clubs, many of which participated in much needed “pro-access” work like trail work-parties. If you join or belong to one of these groups, we beg of you to help us change this. We desperately need the virtual clubs to begin helping with stuff like work-parties to secure our access! Living in Northern California, I heavily rely on various local 4×4 groups for information. 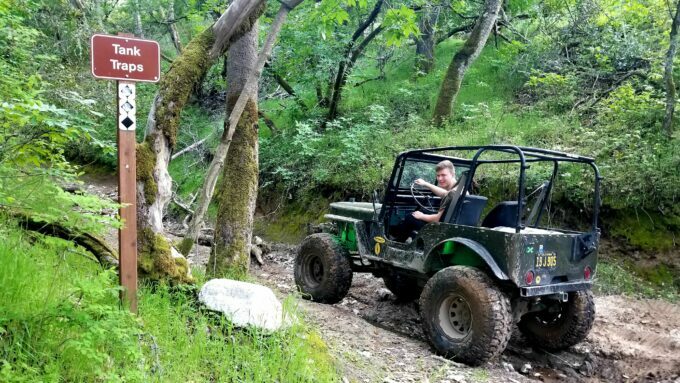 El Dorado County Off Road chat is a wealth of information for the area around the Rubicon. One of my absolute favorites is The Rubicon Gazette, in which trail conditions, trail tips and even trail history is regularly posted by a moderator that REALLY knows his stuff. Even though I do not even own a Jeep Cherokee, the NorCal Jeep Cherokee group is not only filled with good info, but with good people and along with another group, the Coalition Crawlers, it can be very entertaining. One group in my area that has really taken off is the SF Bay Area Jeep Association. 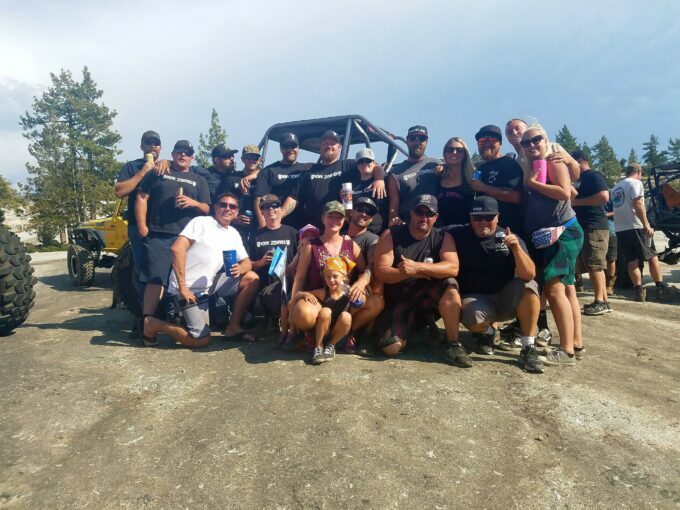 While it is filled with many JK owners that are relatively new to off-roading, the group has held several really fun events and get-togethers, and the moderator is working on getting the members involved with trail work-parties. There are also a few 4×4 veterans that regularly post important info in that group. It is also neat to join groups in areas outside of your own to learn about trails and wheeling in other places. For example, I am a member to the Arizona Virtual jeep Club and New Mexico Off Road. If you really want your mind-blown, check out the Islamabad Jeep Club social media page from Pakistan. It is nothing at all like you would think, and it is filled with some great people on the other side of the planet that do what we do: they work on their vehicles, camp and wheel. It will open your eyes as to how others wheel all around the planet. Looks like my future involves looking for parts online after my kid runs this trail. My Jeep stable currently contains a Willys and a Wagoneer. Wheeling older vehicles inherently leads mechanical issues and problems, which then leads to hard-to-find parts. For me, vehicle specific groups, filled with people that know more than I, have been a God-send. There is always someone who had to deal with the same issue with their rig that you are going through with yours. Find groups for your specific vehicle and look for ones with a lot of members. Some of these groups are also “area specific” like the Nor-Cal Jeep Cherokee group that was referenced in the last category in this article. This is beneficial in that you can possibly get parts from group members easier, and in the past I have seen these groups hold “vehicle work parties” for less mechanical members of the group. My fear has been confirmed. Looks like I need a front fender for a 41 Willys. Anyone who has ever bought or sold something on Craigslist knows that it is a total crapshoot. You have no idea who the person is that you are dealing with, and if you are going to get ripped off or not. While the same thing could happen on social media marketplaces, these online groups kind of self-moderate. It is not a fail-safe, but it is a tad safer in a social-media group where you can find out more about the person that is selling the parts or vehicle as opposed to a near-anonymous craigslist ad. If someone lists something for an exorbitant price, other members of the group may comment on the sale thread, giving you a better insight on what something may really be going for. Most of these groups are also area or vehicle specific. You can buy parts, tires or even entire vehicles in these groups. Again, look for groups in your area that are very active with a large number of members. In my area, I belong to “Eldorado Crawler Swap”, “530 Crawler buy/sell/trade” and the “Bay Area Crawler Swap Meet” For my son’s Willys, “Vintage Willy’s Parts” has been very helpful in getting stuff that is near impossible to find. As all of you should already know, the cardinal rule of wheeling is this: DO NOT WHEEL ALONE. 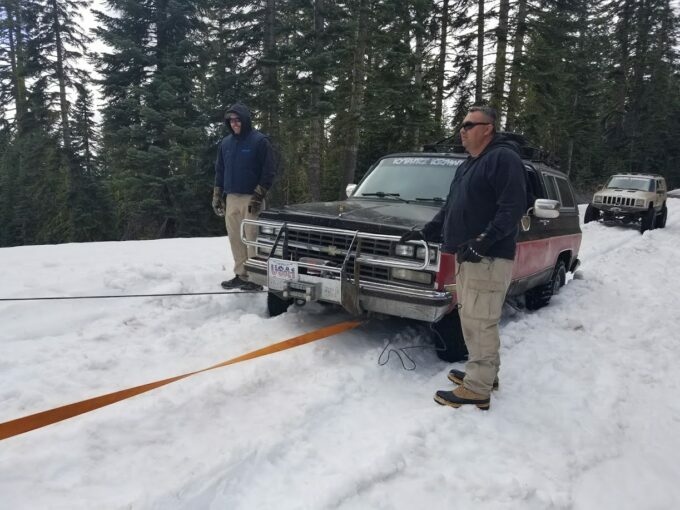 Even with that said, there are very few Jeepers that have never been so stuck that they did not need help with a recovery. Many areas have recovery groups online, where you can ask for help winching or pulling out a vehicle if you are stuck. As long as you are within cell service, just a few clicks on your cell phone and posting up in a recovery group with your location gets the word out to people that are willing to help. Most of the people that subscribe to recovery groups do not charge for the help, but it is customary to at least offer something, even if it is just beer. Or even better, pay it forward by helping the next person on that board that needs a recovery. It is way more fun to recover than to be recovered! This pig is too heavy. Someone get on Facebook and get help! A word of warning however: if you are stuck on private land without permission, or are off-trail wheeling illegally, many of these groups will not help. In the off chance that they do, you may get an ear-full about responsible off-roading. Make sure that you heed those words. Del and Kurt Del Albright with some famous guy at the Off-Road Hall of Fame Inductions. The fight for our access to public lands is a constant battle. One way to keep tabs on not just land-use issues, but also fun events, is to add the pages and groups for pro-access organizations. I follow the Rubicon Trail Foundation, Cal4 Wheel, CORVA and even this website, Modernjeeper.com has a Facebook page with tons of good info. 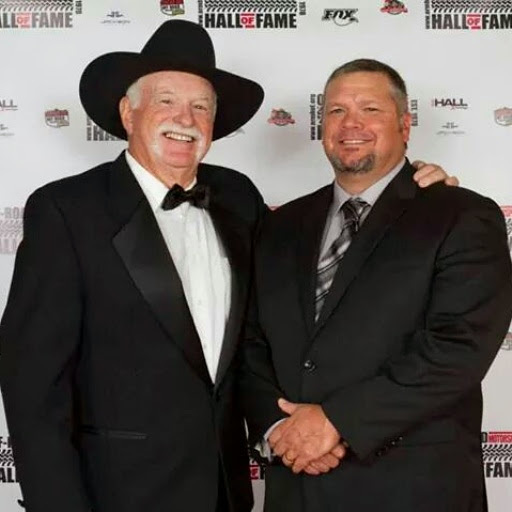 It is also a good idea to follow some of our pro-access warriors like Del Albright and Don Amador, both of whom are also in the Off Road Motorsports Hall of Fame. Don Amador is a land-use God, and his “International land-use café” is a great one to get info on keeping public lands open to the public. There are many other 4×4 personalities that are fun and informative to follow on Facebook and Instagram. Jesse Haines is an amazing fabricator that nearly always documents his builds online. He is a “must follow” in the off-road industry, as is Phil Liccardi’s “Liberty Mountain Fabrication” Facebook page. You can also follow racers like Shannon Campbell, Jason Scherer, Casey Scherer and the like, or even race team pages like “Jack Racing” to keep you up to date on the Ultra4 series. There are also many companies that are a “must follow” if you are a Jeep person. Especially since you can keep up with upcoming deals and sales. There are companies that offer free giveaways on social media. Metalcloak’s facebook page is just plain awesome, you can find out about new their products and current sales. I also religiously follow “Arabia’s Overkill Jeep fabrication” not only is Jeff Arabia a super-cool, down to earth guy, his shop does some amazing work. 12voltguy.com makes the best switch panels in the industry, and his Facebook page seems to always be doing some type of giveaway. Some things never change — like creating memories with your son. Find companies that sell things that you would want for your vehicle and follow them, because you never know when that stuff could go on sale. Technology, especially social media, is both a blessing and a curse. But if you start following these five types of groups, you will become more informed about our industry, our fight for access and wheeling in general. Kurt Schneider has been involved in Off-Road Motorsports his entire life. Literally growing up in the back seat of his father's Wagoneer, Kurt's childhood was spent camping and four wheeling over nearly the entire country. For the past two decades, he has been very involved in many aspects of the off road industry as a land-use advocate, a writer, a race team promoter and manager, a racer, and educator. 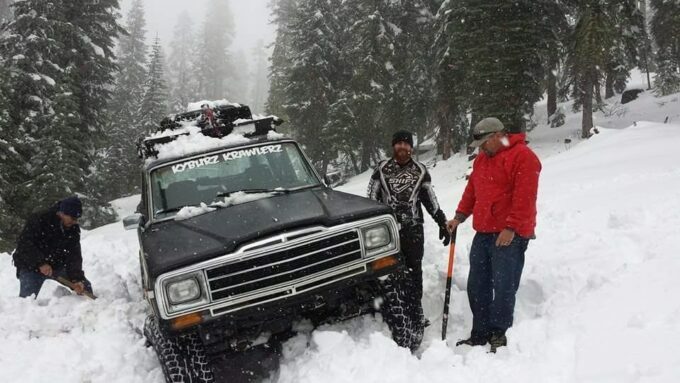 He is a founding member of the Kyburz Krawlerz 4x4 club, and has been relentless in fighting to keep public lands open to public. For Kurt, off roading is not a hobby; it is a lifestyle. Thanks for giving the NorCal Jeep Cherokee Group a shout-out. Appreciate it. No problem but i think free recoveries and the 1200 people we helped this snow season might be a reason for being a must join. We are even stepping up and joining in with cal4 wheel on some of there fundraising events. Plus we were at Rubicon trail fondation lack tie and boots with my donations. Since we took over a month ago we are moving in full force to be the best group out there for all types of people. I am one of the moderators with Nor-Cal 4×4. With the 3 admins we have now this group is surging ahead after stalling out for a few months when a founder became overwhelmed by the crazy growth. One guy is not enough to run a page with over at the time 10,000 members. Our new team of Carl, Tyler, and Kurt. they do a fantastic job of turning the club around and the increase in membership over the past few months shows it. Proud to be a member of this club and to be able to add a little expertise in my area to members. Good article. Since I don’t live in California (not since 1980) I’m not sure belonging to a CA located club would be very helpful. However, if any of you are in the Las Cruces, NM area and want to run a trail we have quite a few experienced to extremely experienced wheelers. Some even manage to make it back in time for dinner. After all, no one can avoid the choice of “Green or Red”. Magic words like “Christmas” are always welcome. [pics] SEMA 2018… The Best of DUB! Extreme Off-Road Campers from Conqueror!